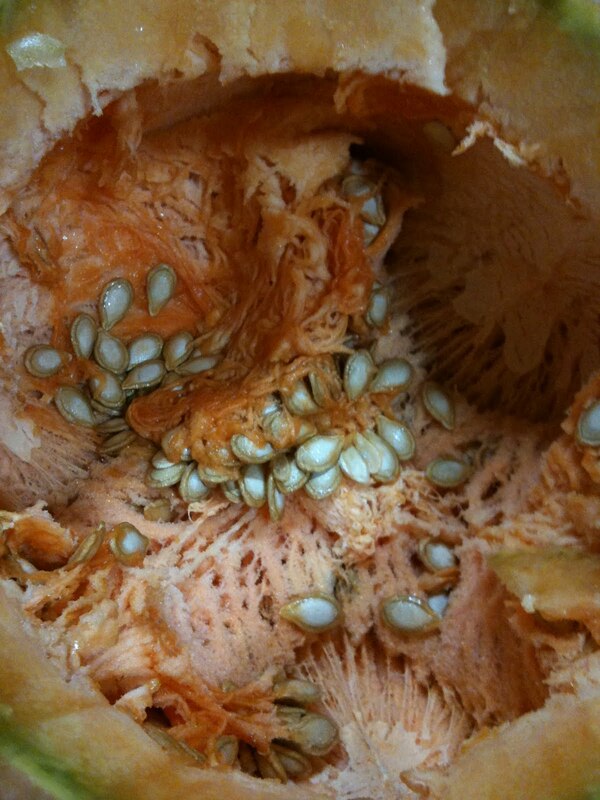 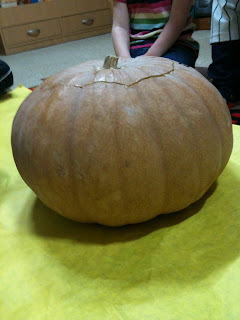 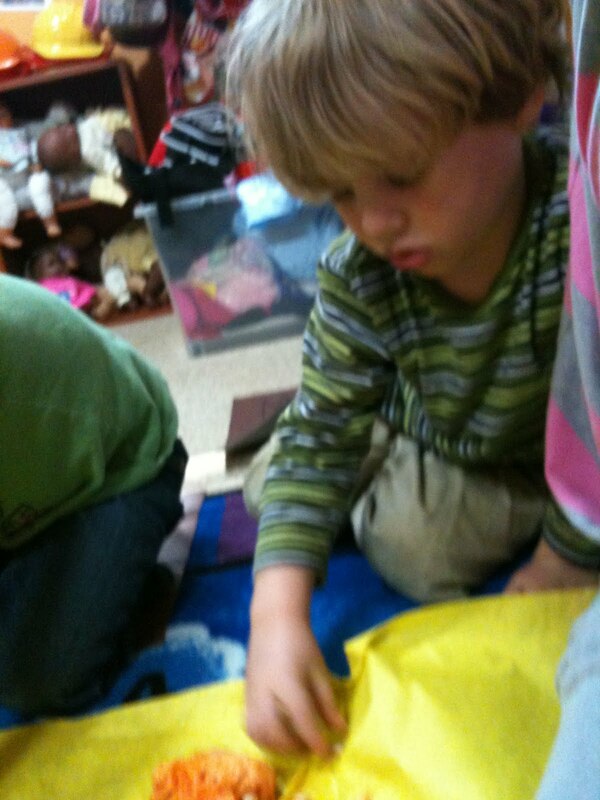 Then we cut it open and talked about the inside. 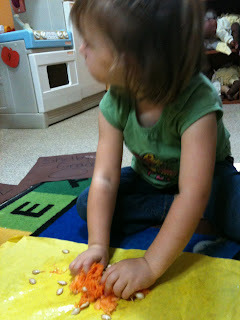 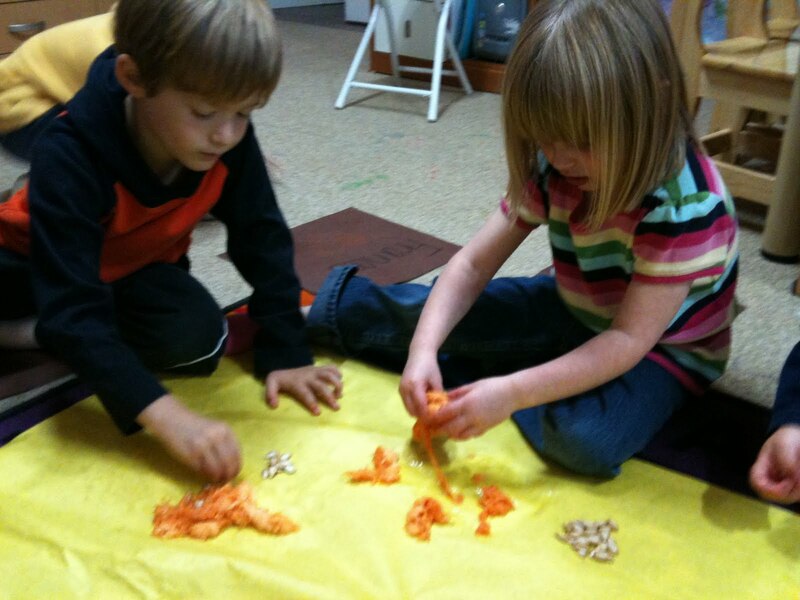 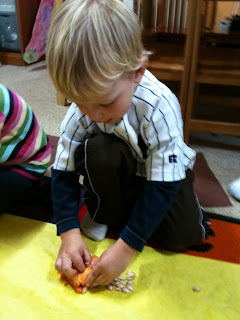 Some brave ones got to help sort the seeds from the pumpkin pulp. Not everyone was so excited about touching the ooey gooey mess. 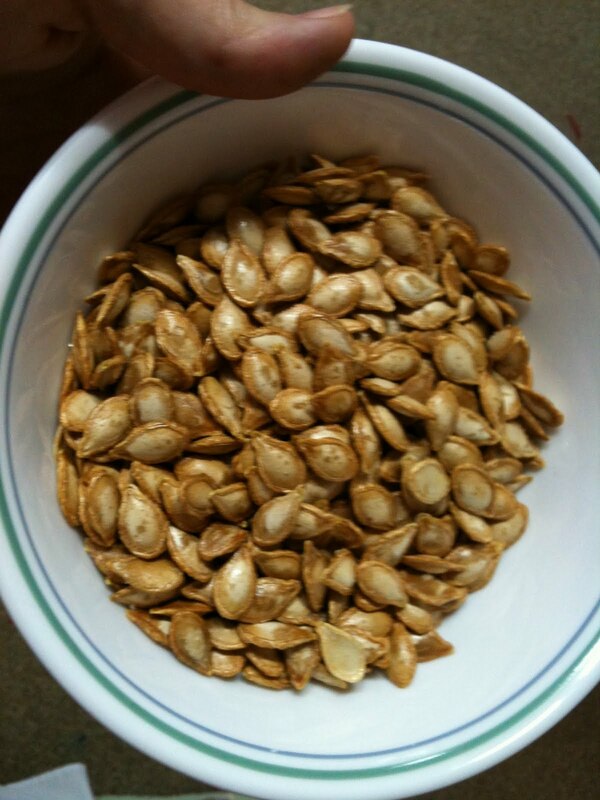 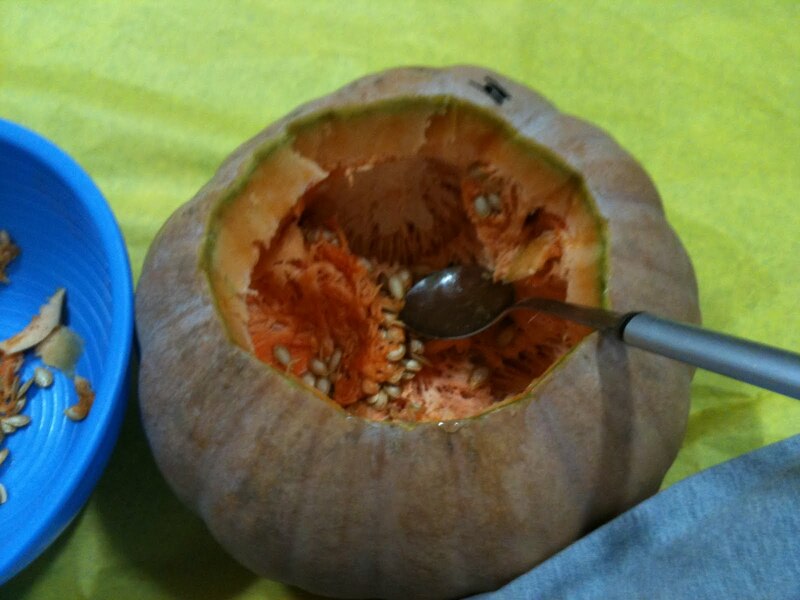 After removed all the seeds, we toasted them and then of course our favorite part of the process, eat the seeds!